As the head of Ellig Group, Janice is dedicated to increasing the placement of women and diverse candidates on corporate boards and in C-suites by 2025. Janice joined the legacy firm in 2000 and became Co-Chief Executive Officer in its transition to Chadick Ellig in 2007; she assumed sole ownership of the company as Ellig Group in 2017 with a new focus on Reimagining Search. Prior to her career in executive search, Janice spent 20 years in corporate America at Pfizer, Citigroup and Ambac Financial Group, an IPO from Citibank, where she was responsible for Marketing, Human Resources, and Administration. A tirelessly active member of the NFP industry and champion of her causes, Janice is Founder of the Women’s Forum of New York’s Corporate Board Initiative and its signature event, Breakfast of Corporate Champions. Since 2011, Janice continues to spearhead this event to honor companies committed to board diversity and to encourage CEOs to sponsor board-ready women for the Women’s Forum database. (LINK: www.womensforumny.org). Janice is personally committed to several organizations. She is a Board Director of the National YMCA and Past Chair of the YMCA Board of Greater New York; Trustee of the Actors Fund and The Committee For Economic Development (CED); Board Director/Executive Committee, University of Iowa Foundation; Women’s Forum of New York Past President and Chair of the Corporate Board Initiative; member of the Steering Committee, US 30% Club; Harvard Kennedy School, Women and Public Policy Program Board; Edison Innovation Foundation Advisory Board; Business Committee of the Metropolitan Museum of Art and The Economic Club of New York. With a background in human resources and organizational development, Barbara leads the Leadership Consulting practice at Ellig Group. Certified by Hogan Assessment Systems and The Leadership Circle Profile, among others, and having earned her certification in Leadership Coaching from Georgetown University’s Institute for Transformational Leadership, Barbara works with organizations and their leaders to create inclusive, intentional and impactful cultures. Her areas of expertise include leadership coaching, team and group facilitation, talent assessment, and onboarding programming. In addition to our Leadership Consulting practice, Barbara’s search work focuses on the nonprofit, healthcare, professional services, and financial services industries, where she conducts engagements across functional areas including human resources, communications, finance, legal and general management. Prior to joining our team and legacy firm, Chadick Ellig, in 2010 from MassMutual, Barbara worked at Page Group. Based at the organization’s London headquarters, she managed the financial and professional services division of the Human Resources Practice and worked with clients throughout Europe. Earlier, she co-led the start-up of the organization’s Nonprofit Practice in the United States. Barbara began her career as a human resources generalist and recruiter in local government. Barbara earned a Master’s Degree in Human Resource Management & Organizational Analysis from King’s College, London and has a Bachelor’s Degree in Political Science from Rutgers University. She has served on the NYC Leadership Board of the American Lung Association and the Executive Committee of the King’s College London Alumni Association in New York, is a member of HR People & Strategy, and is an Alumni Career Advisor and Mentor at both of her alma maters. With experience across a variety of industries and functions, Joy is focused on finding talent for the fast-paced technology sector. She provides customer-centric leadership services by advising clients on their talent strategies, organizational design, and market initiatives. With a maverick approach, Joy has the ability to see solutions through a different lens, and combines her straight-forward thinking with passionate innovation. Joy joined as a Research Analyst, then transitioned into an Associate. After an intermediary role as an Associate at Marlin Hawk, where she led senior mandates globally in digital technology, commercial, general management and corporate functions, Joy rejoined our team. Her strong research foundation guides her thorough and methodical approach to search, ensuring that the best possible talent is introduced to her clients. Joy graduated from New York University with a Bachelor’s Degree in Political Science & Economics. She is committed to her work as a Special Advisor to the Junior Board of Solving Kids Cancer, where she previously served as Chair. An avid animal lover, Joy keeps the peace between two cats and a dog. Deeply dedicated to diversifying corporate leadership, Nora brings a strong research background and a firm grasp of the diversity and inclusion space to her work at Ellig Group. She is a constant and curious learner who keeps on top of market trends in order to analyze best practices and incorporate them into her work. An efficient and creative problem solver, Nora prides herself on her ability to quickly and thoroughly grasp each client’s needs and company culture in order to find the very best of prospective candidates. She works with the team on projects across industries and functions to gain a complete understanding of the role and the market for each search. Nora first spent two years as a research analyst with our team, providing a valuable analysis for multiple searches before transitioning into her role as an Associate. 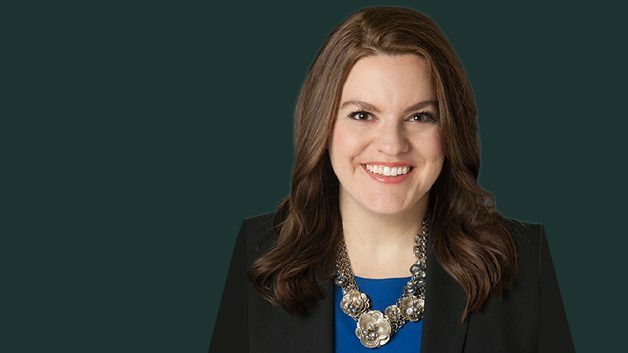 Before joining Ellig Group, she was a research associate in the CIO/Technology & Operations practice and Consumer & Retail practice at the executive search firm CTPartners, and spent three years as a legal assistant at the law firm of Schechter & Brucker P.C. Her background also includes work in the nonprofit sector, where she focused on volunteer services. A firm believer in taking an active role in her community, she spent some time volunteering herself in the 2012 presidential campaign, and continues to volunteer for several organizations in her free time. Nora holds a Bachelor’s Degree in Economics from New York University. Her commitment to hard work began at an early age, when she entered the workforce as a baby model and starred in a Pampers commercial and several print ads. As the newest member of Ellig Group, Elisabeth joins our Denver regional office as an Associate with a focus on identifying inclusive talent, market research, as well as leading the social media efforts on behalf of the Ellig Group team. Elisabeth has returned to Ellig Group after completing a nearly four year career move with a global operational excellence consulting firm based out of Denver, Colorado. There her emphasis was in human resources with a twist into business development. This allowed her to connect on all levels within the organization as well as in an external capacity. Elisabeth graduated from the University of Miami with her Bachelors Degree. She is a certified facilitator of the DiSC measurement tool, as well as trained to administer the Kirton Adaption Inventory (KAI) instrument. In her pastime she is dedicated to her mentee through Denver Kids, as well as improving childhood literacy by way of social awareness to one of her favorite not for profits, Imagination Library. 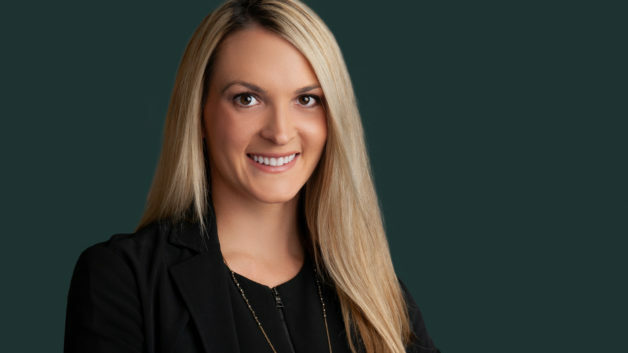 With over 10 years as our Chief of Staff, Camille brings her organizational and project management skills to each assignment, working closely with our candidates and clients to deliver on our commitment of unsurpassed service. Always willing to take on a new challenge, Camille has worn many hats in her previous career as a Project Manager for a multi-family real estate developer, and as a Business Manager for an importer of premium Italian kitchen appliances. She worked in technology for several years managing a small network for a real estate developer and started her professional career as a Traffic Coordinator for a pharmaceutical advertising agency.nCamille is also an accomplished professional baker who has worked in resorts from Wyoming to Maine, as well as New York City. She works closely with Janice Reals Ellig on initiatives to drive gender parity on boards and the C-Suite as well as our participation on not for profit boards. Camille found her home in 2007 joining Janice Reals Ellig in executive search. Her attention to detail and commitment to service excellence is evident in every communication and task. We collaborate with a highly regarded network of individuals and organizations to help us deliver the very best resources to our clients and candidates. with over 50 offices in 35 countries, IIC Partners is one of the top executive search organizations in the world. Aligning with the highly ranked executive search firm members of IIC enables us to expand our network and global reach without significant off-limits issues resulting in a seamless search experience for our shared clients around the world and an expanded pool of qualified candidates in all global markets. Marilyn Puder-York, Ph.D. is a clinical psychologist, executive coach, and former corporate executive at Citi who works with us to provide in-depth behavioral assessments and customized coaching services to executives looking to enhance their performance and leadership profile. An award-winning methodology scraping millions of open-sourced digital discussions (taking place everywhere, not just in social media) to turn them into actionable insights and decision journeys across segments, globally. Velocity was built to bring top-tier executive coaching to founders. We know from research and experience that coaching on leadership and management skills is the quickest path to remarkable results for start-up founders. Velocity has offices in San Francisco and New York, but our reach goes much further than that. With clients in San Francisco, New York, Boston, the Midwest, and Australia, Velocity is quickly becoming a global firm. We will travel nearly anywhere for trainings and workshops, and we provide extremely high quality one-on-one coaching in-person or via Skype. Founded in 2012, the CDO Club is the world’s first, largest, and most powerful community of C-suite digital and data leaders. Our 5,000+ registered members receive access to breaking news, original research, career development support, networking opportunities, and inspirational events such as the CDO Summit. Our high-impact services are designed to help CDOs improve their capabilities, strengthen their professional networks, openly share insights and strategies, and collaboratively identify the tools essential to help them succeed in navigating today’s rapidly evolving, highly competitive and complex digital environment. Temin and Company is a boutique management consultancy focused on strategic crisis and reputation management and execution at the board, C-Suite, and operational levels. Temin helps companies, services firms, nonprofits, colleges and universities, and select individuals create, enhance and save reputations. CoolBrands helps leaders build a dynamic personal brand and create an online reputation that ultimately helps them reach their next business goal – be it a next job, a seat on a board, or new partners, clients or investors. They also help corporate clients create more influence online by humanizing the company, creating new and engaging content, and ensuring that the new material is being ‘seeded’ and shared into relevant networks.